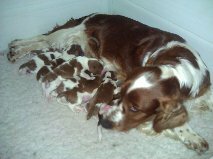 Pictured here are various photos of puppies we have breed over the years, our puppies are always born and raised in our home, handled daily by our children and have a head start in the socialisation stakes! 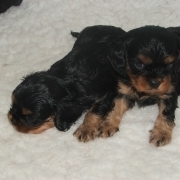 We are very protective over our babies so be prepared to answer as many questions about your family and life style as you ask us; buying a puppy is a two way process, you have to be satisfied that you are taking a puppy from a reputable home, we have to be satisfied that you and your family are the right people for our puppy! 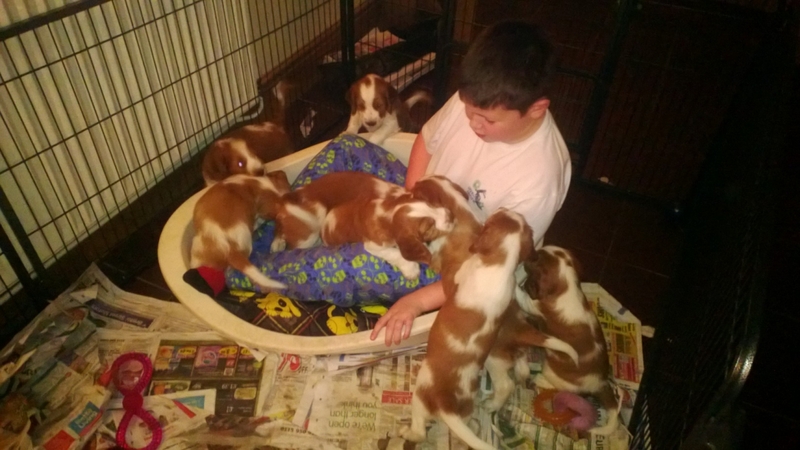 Callum playing with puppies, he was supposed to be going to bed! his comment was " I am in a bed Daddy!" 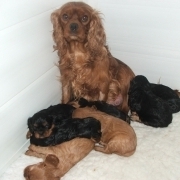 PUPPIES PLANNED FOR EARLY 2019 BY SH CH GLENBROWS PICTURE ME NOW ex SH CH GLENBROWS MEMOIR!! !